Power4Schools and SchoolDude.com, today announced an agreement to provide Power4Schools’ member school districts with energy benchmarking and conservation software. Power4Schools is an Ohio organization dedicated to providing lower cost electricity to public school districts in the State of Ohio. SchoolDude.com is the market leader in education enterprise asset management, serving more than one-third of the public K-12 school districts in the United States. 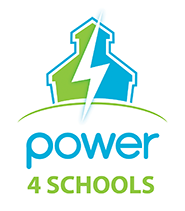 In June 2011, more than 250 Ohio school districts, in their ongoing effort to save money and operate more efficiently, joined the Power4Schools (P4S) electricity program. Through P4S, schools are saving over $12 million annually on their electric costs. P4S is an Ohio organization dedicated to providing lower cost electricity to public school districts in the state of Ohio. P4S is comprised of four Ohio organizations that provide Ohio school districts with a variety of services aimed at cost savings and efficiencies. P4S organizations are the Buckeye Association of School Administrators (BASA), the Ohio Association of School Business Officials (OASBO), the Ohio School Boards Association (OSBA) and the Ohio Schools Council (OSC). The P4S agreement with SchoolDude will provide benchmarking and energy conservation software to help school districts expand their energy savings capacity. The SchoolDude software will allow districts to track and compare energy consumption and utility costs between school buildings and other school districts. SchoolDude’s web-based utility tracking software will provide for the analysis and reporting of utility consumption and costs. Also included will be the ability to track greenhouse gases, Energy Star® ratings and utility use. This will give school districts the ability to find additional savings by identifying utility usage reduction and management opportunities. Formed in April 2011, P4S has demonstrated the tremendous ability of group purchasing in reducing costs. Over the past 10 years BASA, OASBO, OSBA and OSC have helped Ohio public school districts save over $32 million in electricity expenses. The creation of P4S amplified the economies of scale and secured additional savings for public schools in Ohio. For more information visit www.BASA-ohio.org, www.OASBO-ohio.org, www.ohioschoolboards.org, www.OSConline.org.